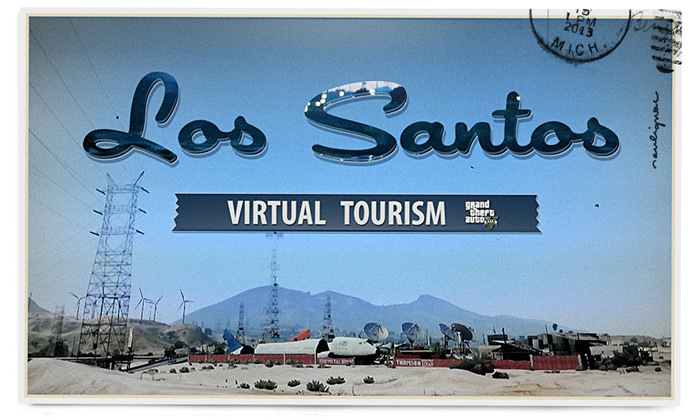 The series of photographs “Virtual Tourism” is based on the contemplative practice of gaming. With a camera at my disposal I simply walk into the decor of video games which offer open worlds, I explicitly do this without paying attention to the context (off mission). I wander around these wide digital open spaces, solely to appreciate the work produced by graphic designers and developers. I then start searching for the best spot where I can take a picture with the most suitable view, location, frame and ideal moment. These pictures, which are exclusively focused on landscapes, are a way to keep memory of virtual excursions. They also often reveal empty or “abandoned” areas of the gameplay, places which are usually ignored or neglected by active gamers. 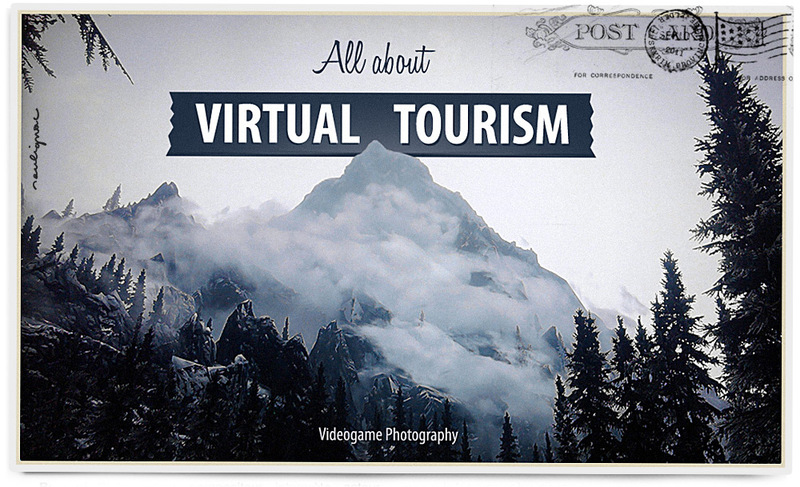 > More information : About Virtual Tourism. This entry was posted in Video Game Photography and tagged game, Kitsch, Postcard, Vintage, Virtual limbos, Virtual reality, Virtual spaces, Virtual tour, Virtual Tourism, Virtual travels, Virtual worlds by François Soulignac. Bookmark the permalink.